Why﻿ should I use this uninstaller instead of any other? BCUninstaller will do all the hard work of ordering and running uninstallers for you. All you have to do is select them from the list! 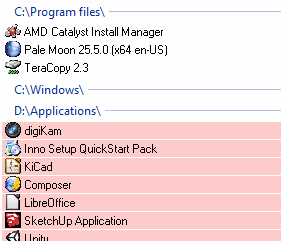 Many applications do not provide non-intrusive uninstallers. They will be executed first, so you will be able to leave the computer sooner. 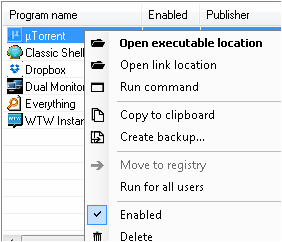 Often times uninstallers will not remove files that were created after the application was installed - temporary files, settings, shortcuts, etc. BCUninstaller will search for and offer to remove all of those, saving you many minutes, if not hours. Oftentimes applications end up without a working uninstaller. They sit on your hard drive, you might even be using them, but most uninstall managers will not see them. BCUninstaller will detect, list, and enable you to remove those applications. As any uninstall manager in existence BCU has a startup manager. It is not a useless gadget however, it has some powerful functions! 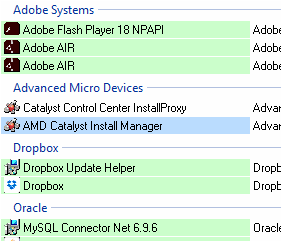 The manager is tied into the main application list - you can see which applications are starting on boot and disable them. 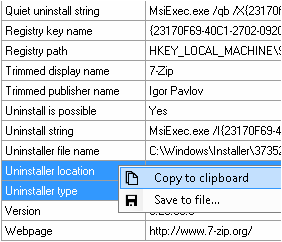 BCUninstaller has a growing collection of localisations. At this time there are English, French, German and Polish translations! If you wish to help translate BCU to your language please contact me through the feedback page! 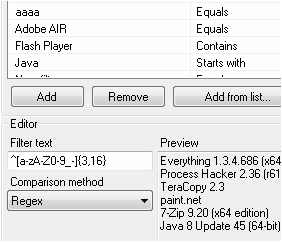 You can create special lists that will automatically select all matching uninstallers. One of the most common uses for these is uninstalling crapware from a series of similar computers in classrooms or offices. Many different filtering methods are available, all of which are also available for searching in the main list! Think that malware might be impersonating a legitimate application? BCUninstaller will look for and test digital signatures attached to the uninstallers. Green entries are verified, while blue failed verification for some reason. Take note that it is common for legitimate MSI uninstallers to fail verification, this is caused by internal workings of Windows Installer. Wondering about what GUIDs are in use, where the application is installed to, or who signed the certificate? BCU will tell you all that and much, much more. The search algorithm will look through all of that data when filtering. While most of the time there is little use for all of that info, it can be a godsend while trying to corner a worm or debug your uninstaller.